‘Everything is Wonderful’ at Everyman Theatre. “I commend Everyman Theatre and all those involved in this production for showcasing this beautiful play – everything is wonderful about it. – JV Torres. Synopsis: When an Amish couple’s two sons are killed in a car accident, the family struggles to maintain their faith and cling to their way of life. In an act of unfathomable forgiveness, they take in Eric, the wayward young driver of the car. 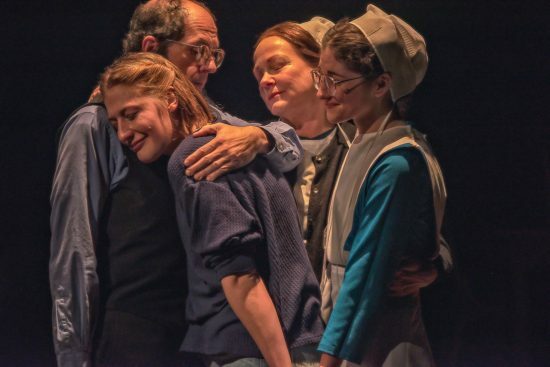 But Eric’s mistake cracks open the family’s dark history and brings home their eldest daughter, Miri, who was excommunicated five years earlier. Miri returns to find her family in shambles, the man who killed her brothers living in the barn, and the man who drove her away intent upon marrying her younger sister. Without a way forward, this insular community must seek to heal the deep wounds of the past, forcing everyone into a new kind of reckoning. 2. ‘Arsenic and Old Lace’ at Arlington Players. 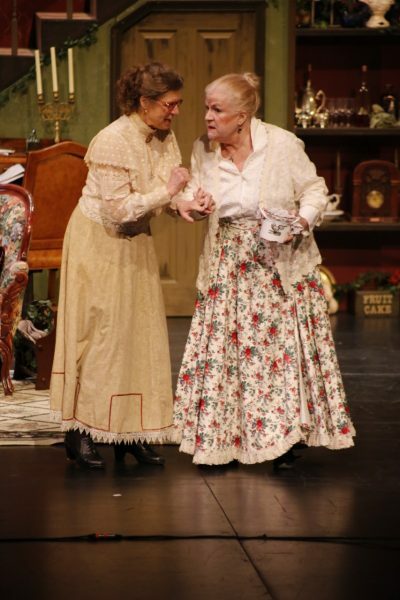 “‘Arsenic and Old Lace’ is like an old friend . . . 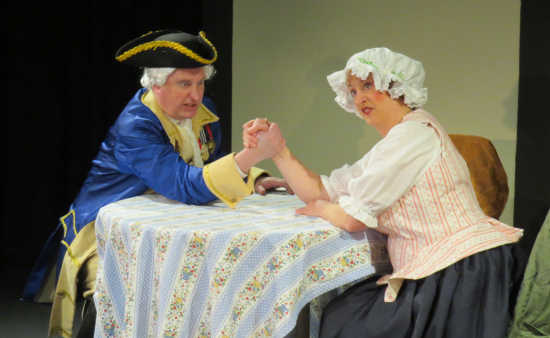 The Arlington Players do it justice.” – Mary Ann Johnson. Synopsis: Come enjoy this classic hysterical farce of love, family, and murder! What will drama critic Mortimer Brewster do when he finds his two spinster aunts are offing lonely old men? Or when he finds out his murderous brother has returned? Not to mention the other brother who believes himself to be Teddy Roosevelt! 3. ‘Philosophus’ at Best Medicine Rep Theater Company. 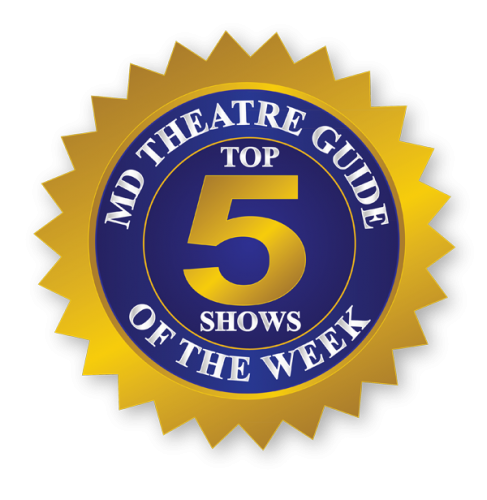 “Best Medicine Rep Theater Company proves you can have theater anywhere and make it work. It is the extra efforts that they took, for example, the set and the costumes, and having actors who have a great sense of comedy, that make this play work.” – Susan Brall. Synopsis: A little poetry is a dangerous thing in this screwball comedy. Mad Germans! Fancy Frenchmen! And a secret in a suitcase! 4. ‘Gypsy’ at Toby’s Dinner Theatre. 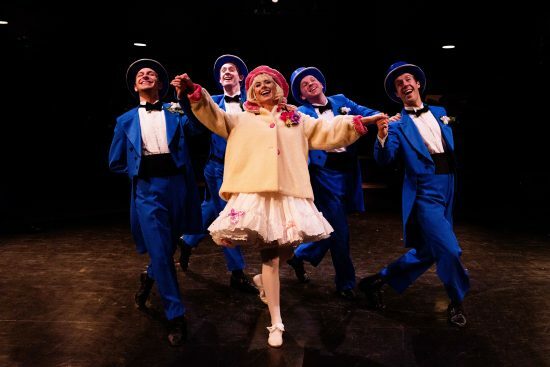 “…even if you don’t consider yourself the type of person who enjoys Golden Age musicals, I encourage you to give this one a chance.” -Johanna Alonso. 5. ‘Ain’t Misbehavin’: The Fats Waller Musical Show’ at Signature Theatre. “. . . this abundance of talent will leave you breathless.” – Mary Ann Johnson. Synopsis: Step into Harlem for a swinging, dancing celebration of big band and the songs of Thomas “Fats” Waller. This sultry Tony Award®-winning musical tribute features all of Waller’s beloved tunes including “The Joint is Jumpin’,” “Honeysuckle Rose,” “Handful of Keys” and more. 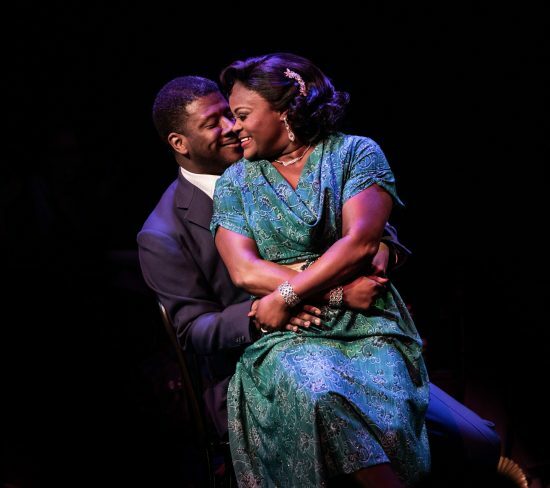 Kevin McAllister and Nova Y. Payton in ‘Ain’t Misbehavin’: The Fats Waller Musical Show at Signature Theatre, now through March 10, 2019.